On November 12, we critiqued how CBC Radio and Television had failed to identify dead Palestinians killed in an Israeli intelligence operation in Gaza as terrorists. In a similar vein, CTV News, CBC The National and Global National also produced coverage which failed to mention that the seven dead Palestinians were all terrorists. 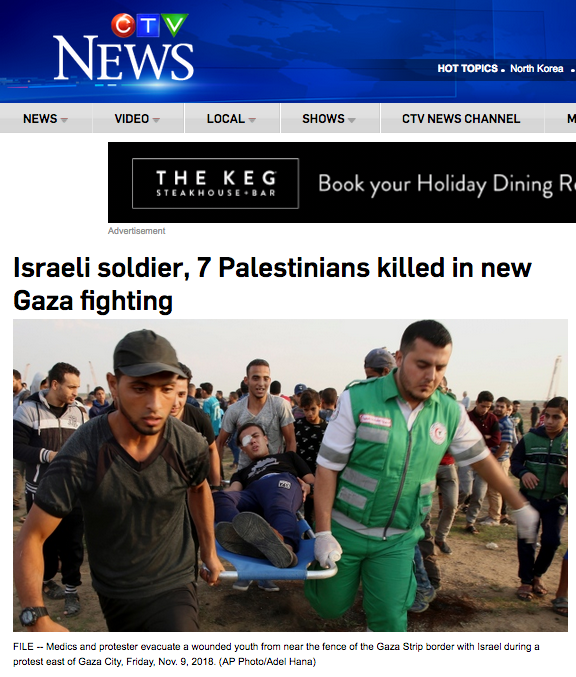 While CTV described the Israeli casualty as a “soldier,” CTV editors failed to mention that the 7 dead Palestinians are all terrorists/combatants or in CTV parlance, “militants”. Readers likely were mislead into believing that Israel killed seven presumably innocent Palestinian civilians. HRC has filed a complaint with CTV News calling for correction action. Stay tuned to this page for future updates. 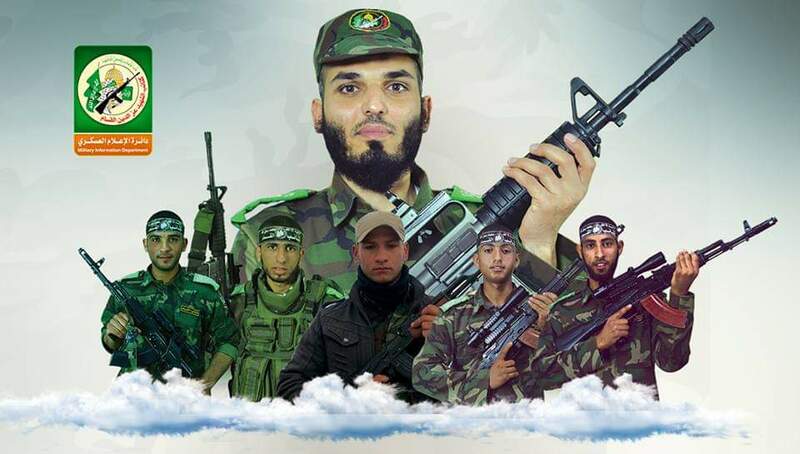 On November 12, CBC National broadcast a short report which did not breakdown the composition of the seven Palestinian casualties and there was no indication that the dead were terrorists and combatants. HRC has filed a complaint with CBC News “The National” calling for correction action. Stay tuned to this page for future updates. On November 12, Global National featured a report from Jeff Semple which also failed to mention that the seven dead Palestinians were all terrorists. Reporter Semple only acknowledged that one of the dead was a Hamas commander. HRC has filed a complaint with Global News calling for correction action. Stay tuned to this page for future updates.